With its unique heritage and history, Kent & Stowe tools have been built on tradition and crafted for life. The Garden Life Range of lightweight tools became an instant success and created a new sector for people from all walks of life who found this lighter weight range put the pleasure and fun back in to their gardening activities. The success of Kent & Stowe has been the development of tools to suit every gardener and activity. 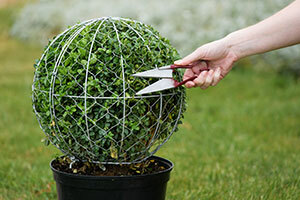 The Know your Soil, Lawn Care, Weeding and Topiary ranges simplify some of the more awkward tasks in the garden by providing exactly the right tool for the right job. TV gardening celebrity, David Domoney is the K&S brand ambassador and inspires gardeners and kids in the enjoyment of their gardens. His blogs, competitions and online videos are proving to be very popular. Involvement of children in gardening has been a feature of recent years. K&S Kidsrange are scaled down versions of mum and dad’s tools. These light garden toolscombine strength and practicality with beautiful Ash Wood handles giving children their first taste of real garden tools which will be used and cherished for years to come. The Kent & Stowe Gift and Christmas range will be launched at GLEE with stock available for delivery in October. Visit our stand where we will have lots of interesting activity in conjunction with Imperial War Museums including an old wartime bunker and imagery with experts on hand with knowledge on the background. Kent & Stowe’s expertise in developing in-store displays that create theatre, interest and encouragement to purchase the right tool for the job has seen this sector moved from the back wall to centre stage.